Systemic lupus erythematosus (SLE) is one of the so-called autoimmune diseases, diseases that are characterized because the immune system attacks the body itself instead of attacking foreign microorganisms that could harm it. In the case of lupus, its main characteristics are the formation of autoantibodies, that is, antibodies against the same body and the deposit of immunocomplexes, which are molecular compounds formed by the union of an antibody and an antigen. These deposits accumulate in the tissues of different organs and cause them to stop working little by little. In the following article we will talk in depth about systemic lupus erythematosus: symptoms and treatment. There are approximately 20 to 150 cases per 100 000 inhabitants in the world. It is observed more in women than in men, especially in black people. Most patients begin to have symptoms at reproductive age, around 16 years old although it may appear as late as 65 years old. The severity of the symptoms seems to be related to the amount of hormones in the body, so it is more likely that the symptoms are expressed more strongly in young people and are milder in older adults. 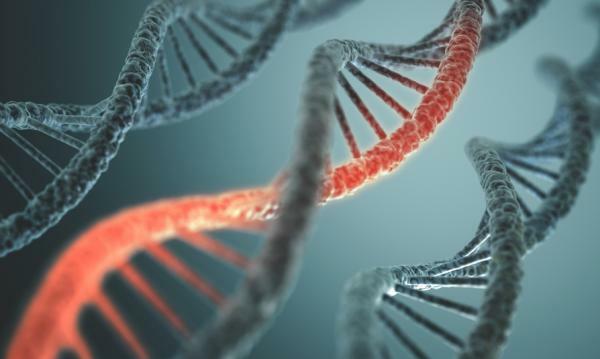 Genetic: Mutations have been found in some genes, in addition heredity of lupus has been observed from parents to children. Hormones: It has been observed that estrogens go hand in hand with a predisposition to develop lupus, which is why women are more at risk of developing it. Environmental: These are factors that we could modify, such as smoking, diet, exposure to silica, ultraviolet radiation and some infections such as the Epstein-Barr virus. Weight loss without special diets. Arthritis: Arthritis manifests with inflammation of the joints, which are most affected are the fingers, wrists and knees, although not always the same, it is important to note that this manifestation can reverse with the treatment. Muscle pain: It is a common manifestation of the disease. Osteonecrosis: This means that there are fragments of bone that die because they do not get enough blood with nutrients. Malar eruption or also called “Acute Cutaneous Lupus Erythematosus“, this is the appearance of a reddish spot slightly raised on the rest of the skin on the face, specifically covering the cheeks and the bridge of the nose and can extend up to the chin and ears, identifies cutaneous lupus erythematosus, which is a stage of the disease. In subacute cutaneous lupus erythematosus (SCLE) we can find diffuse plaques, these are small portions of the skin that suffer from redness, elevation of that area, and disappear without leaving a scar. 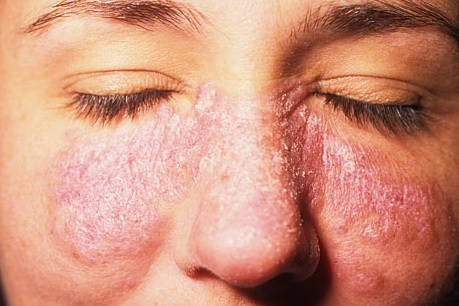 Chronic discoid lupus, in this stage of the disease, the patient has spots or red plaques that are descamated and look like a scab, can grow and do not disappear easily, when they disappear, leave scars in which hair does not grow back and can become lighter or darker with respect to the rest of the skin. There are other manifestations that can be found, such as alopecia, which is hair loss in an area, photosensitivity that is reacting very strongly to exposure to the sun’s rays and something called Raynaud’s phenomenon, which is specific to autoimmune diseases, In the Raynaud phenomenon, when the person puts his hands in cold water, the hands become blue or pale, because they lack blood supply. The proteinuria: Protein in urine. The hematuria: Blood in urine, even at the microscopic level, meaning that the patient will not notice unless the urine is analyzed in a laboratory, so before the diagnosis of systemic lupus erythematosus, it is important to periodically test the urine. Cognitive dysfunction: This means that a brain function is altered, among them are grouped the knowledge to organize, reason and control our voluntary acts, language, visual recognition and some functions that allow us to perform actions. People with systemic lupus erythematosus often have memory and reasoning problems. Acute confusional state: In which the person may be confused suddenly and for a time. Delirium: It is a symptom in which the person is convinced that something is happening that is not really happening. Psychosis: It is a psychiatric diagnosis that means that the person has lost contact with reality, may have fear, anguish and irrational obsession with something and his personality may have great changes. Among the psychiatric manifestations we can also observe anxiety, depression and mania. Disorders of movement, such as inability to hold objects or to walk. Myelitis and meningitis, myelitis is the inflammation of the spinal cord and meningitis is the inflammation of the layers that surround the brain, this may be due to the deposit of immune complexes. Peripheral neuropathy, due to damage to nerve structures, in peripheral neuropathy caused by systemic lupus erythematosus, patients lose sensation and movement in the fingers and toes. Pleuritis: It is the inflammation of the pleura, the layer that surrounds the lungs. Pleural effusion: It is the accumulation of fluid in the pleura. Interstitial pneumonitis: It is the inflammation of the lung space between one alveolus and another, which are the small sacs responsible for passing oxygen from the air to the blood. Pulmonary hypertension: It is the increase in blood pressure in the vessels of the lungs. Alveolar hemorrhage: It is when the vessels that surround the alveoli are broken and they fill with blood, which prevents them from passing oxygen from the air into the bloodstream. Pericarditis: If the pericardium is inflamed, which is the layer that surrounds the heart. Myocarditis: If the heart muscle is inflamed. Endocarditis: If the structures that are inside the heart are inflamed, such as valves. Cytopenia: It is the decrease in the amount of some blood cell, it can be low number of platelets (thrombocytopenia), low number of erythrocytes or red blood cells (anemia) or low number of leukocytes (leukopenia). The different types of cytopenia can combine and give rise to syndromes. Thrombophilia: In this variant there is something called antiphospholipid antibodies that are a type of antibodies produced with lupus, and make the person very predisposed to make clots, it can be by some small blow or simply occur from nothing, which puts them at risk of having some type of embolism. Lymphadenopathy: It is the growth of lymph nodes in the body, because it develop and store lymphocytes. Splenomegaly: It is the growth of the spleen, an essential organ in the defense of the organism and that has much to do with the development of lymphocytes. There are many other manifestations of systemic lupus erythematosus; everything depends on the organ that has been affected. The presence of rheumatoid factor, which is present in almost half of patients with lupus. The elongated coagulation tests, which shows presence of antiphospholipid antibodies and low coagulation. Positive test for syphilis, this test does not mean that the person has syphilis, but demonstrates the presence of phospholipid antibodies. Finding blood and protein in the urine, which indicate damage to the kidneys. Infections: It is very common for patients with systemic lupus erythematosus to develop infections, partly because their immune system does not work as it should and the other part is because of the medication, steroids make the defenses go down and are an essential component of the treatment, in addition to immunosuppressants. Premature arteriosclerosis: It occurs at early ages and develops quickly, so patients must take care of their cholesterol levels, should not smoke and should try to keep their voltage figures in normal ranges. Cardiovascular involvement: Especially coronary disease, which can even lead to death in advanced stages of the disease. Osteoporosis: There are many factors that cause it, the disease, medications, and not being able to be exposed to the sun to synthesize vitamin D and thus fix calcium. Cancer: There is an increased risk of developing lymphoma, lung, breast and cervical cancer, although it does not necessarily mean that because of having systemic lupus erythematosus, one of these carcinoma will develop. Other pathologies, there are many more pathologies involved, such as fibromyalgia, hypertension, diabetes mellitus and other autoimmune diseases added. Psychological: It is of vital importance to add a psychological treatment to medical treatment, are patients who will have to deal with this disease and its consequences for life, part of the disease includes depression and anxiety, which should be treated as all the other manifestations of systemic lupus erythematosus. Nonsteroidal anti- inflammatory drugs (NSAIDs): Paracetamol, acetylsalicylic acid, ibuprofen, naproxen, etc., these drugs serve as support for most manifestations, fever, inflammation and pain. Corticosteroids: Such as prednisone or prednisolone, to reduce symptoms and support anti-inflammatories and immunosuppressants. Immunosuppressants: Such as methotrexate, azathioprine, cyclophosphamide or mycophenolate, serve to diminish the immunological activity, that less immunocomplexes are generated and, therefore, the organs and tissues function in a better way. Synthetic antimalarials: Like hydroxychloroquine, it serve to diminish the manifestations in the skin and joints. Biological drugs: Such as belimumab, which is a monoclonal antibody that decreases the formation of B lymphocytes, or rituximab, which can also help in this regard. The choice of drugs will be made by the doctor according to the presentation of the disease in each patient, assess their needs and the benefit they can obtain from each medication, some will be taken for long periods and others only in the seasons in which the disease have a lot of activity. The lupus prognosis of the disease depends largely on the organ that has been most affected, which is also called the target organ, advances in medicine have made life expectancy grow much, now, 100% of patients achieve live more than 5 years and 90% manage to live more than 10 years, when the disease is diagnosed and treated in time. It is normal that the disease has periods of intense activity, and others in which the symptoms are kept very well controlled with the medicine, it is very rare that someone achieves a complete remission of the disease, that is, that does not need to take medication and lives without symptoms. High rates of disease activity. It is important to remember that the disease can behave differently in each patient and that there are many ways to treat it.